Any foaming or non-foaming food, chemical, or petroleum product which will flow, settle out in the container and does not contain hard solid particles. The machines are available in Brass and Steel (standard), Sanitary Stainless Steel, PVC and 316 Stainless Steel contact parts to suit your product. 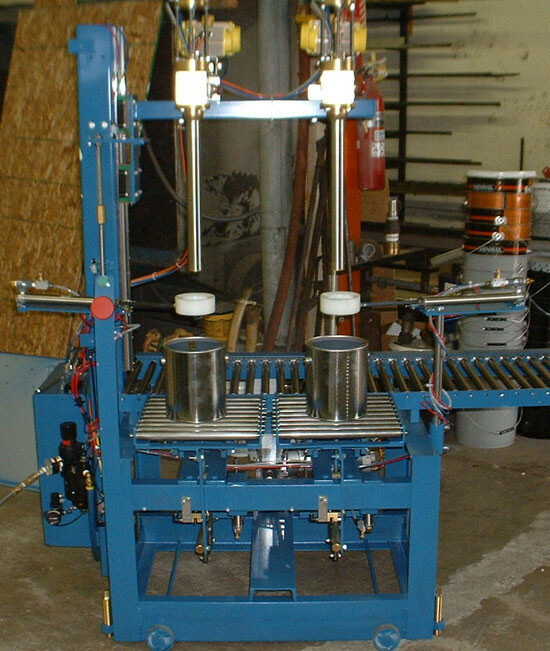 The AF and FA Fillers are designed as production machines for metal, glass, plastic, bag-in-box containers and pails from 1 to 2.5 US gallons (4 to 10 liters), and may fill containers as small as 1 qt. (1 liter). 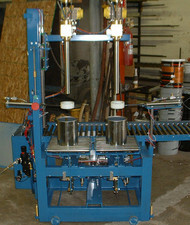 Filling lances are available for containers with openings as small as 7/8" (22 cm) inside diameter.